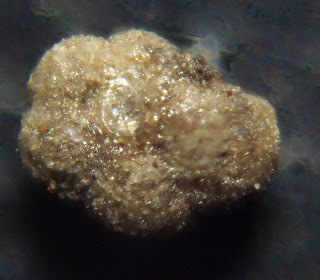 Here is a sample image of an Endothyra sp. foraminifera fossil from the Early Carboniferous of Guangxi region of southern China. It was found in the Shizexu Formation.. Specimen collected in the 1980s by Dr. James Conkin. He has published an image similar to this one along with 32 other fossil images in a new paper entitled Louisville Studies in Paleontology and Stratigraphy No. 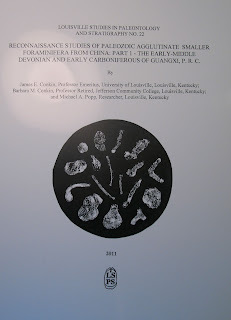 22, Reconnaissance Studies of Paleozoic Agglutinate Smaller Foraminifera from China Part 1 the Early Middle Devonian and Early Carboniferous of Guangxi Peoples Republic of China by James E. Conkin, Barbara M. Conkin, and Michael A. Popp. It can be ordered from P.O. 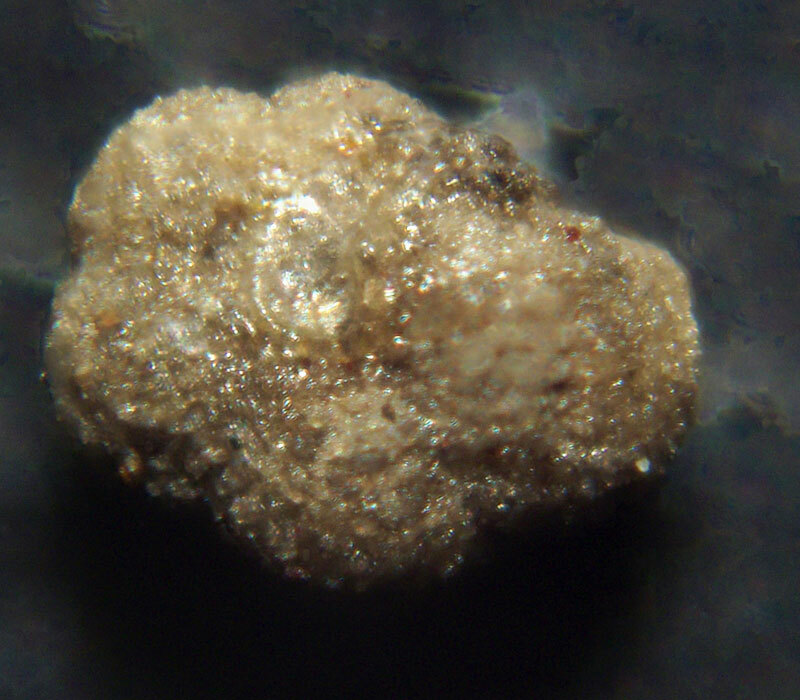 Box 7434, Louisville, KY 40207-0434 or e-mail louisvillefossils@gmail.com.